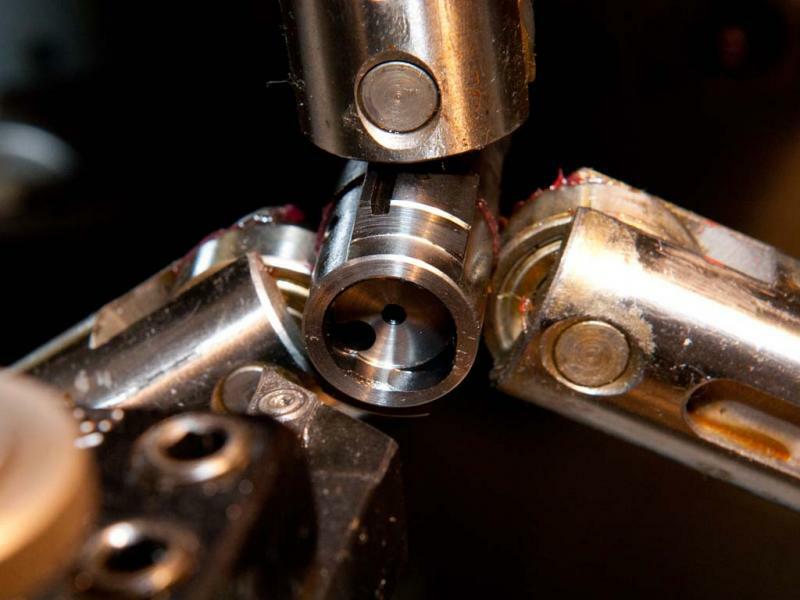 We offer full line Gunsmithing including our exclusive Cryogenic (-300 degree) Metals Treatment and Accurizing Processes that incude full Action Blueprinting, (bolt, barrel and action true, hand lap locking lugs, hand hone trigger and bolt). 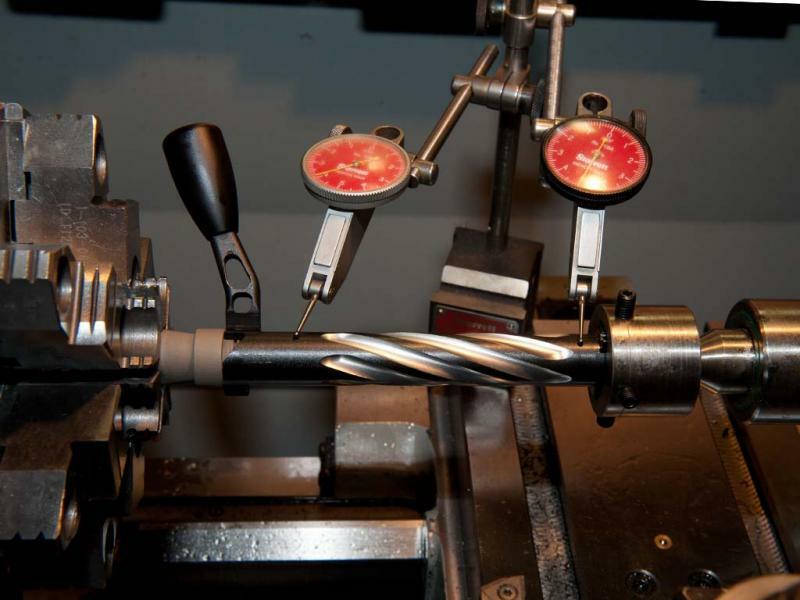 We offer re-barreling and re-chambering services on your action or we can provide any factory or custom action you desire for your build. Custom Stocks and Tactical Performance Chassis with drop box magazines in all of our High Performance Adaptive REM 700 Bolt Action builds (short or long action) are available. Bolt Action Blueprinting: - we provide the very best in the industry - we do it right, right the first time and every time! You know that a factory rifle is a great value. It is simply a tool and piece of equipment that offers "out-of-the box" performance and general accuracy that works for the average hunter. The ultimate long range rifle requires the personal touches that only a dedicated custom shop can provide with years of experience, not just off-the-shelf "bolt-ons". Many rifles have undiscovered potential for accuracy (even production rifles), and this is where we add value in our proprietary and proven Accurizing Processes. Our accurization services can uncover your rifles true optimal performance at an affordable price. Just how affordable? About $475 for most standard production rifles to no more than $675 including full load development after our processes have been performed on your rifle. Since 1996 we have offered services of deep chemical and electrical cleaning of weapons and proper scope hand lapping and calibration at long ranges on a customer's rifle ensuring optimal down range performances. We see several hundred rifles a year or more from all makes and models. On average we get the most "AVERAGE" rifle to shoot sub-MOA wiht a minimal of expense and typically a 3-8 business-day turn around. $375 min. charge includes full evaluation, deep cleaning, copper removal from the bore both chemical and electronic removal, throat errosion evaluation and recommendations and we will re-crown your muzzle if needed. Basic stock relief is performed for a true floated or "pressure on the tip" for the type of rifle and stock design you have. We credit back any labor not required if we hit the benchmark of accuracy. The most important ingredient of any precision rifle is a GREAT barrel not "just a good barrel", and in a custom build this is the one component to not save money on. Our typical barrels are North of $1,400 complete and worth every penny. All are cryogenically treated & match grade quality. Machined-in shoulders contrary to popular belief with an oversized recoil lug does not give accuracy and strength to a barrel. Our years of experience clearly show accuracy in the barrel to receiver mating goes way beyond the barrel and action true. Headspacing in our builds is maintained to .001" to .002" and to achieve this we use precision go and no-go guages that are specifically made for our chambers. With this we use 3-4 different types of barrel "locking" mechanisms for our switch-barrel custom rifles, take downs or Adaptive Modular Tactical and Long Range Hunting Rifles. 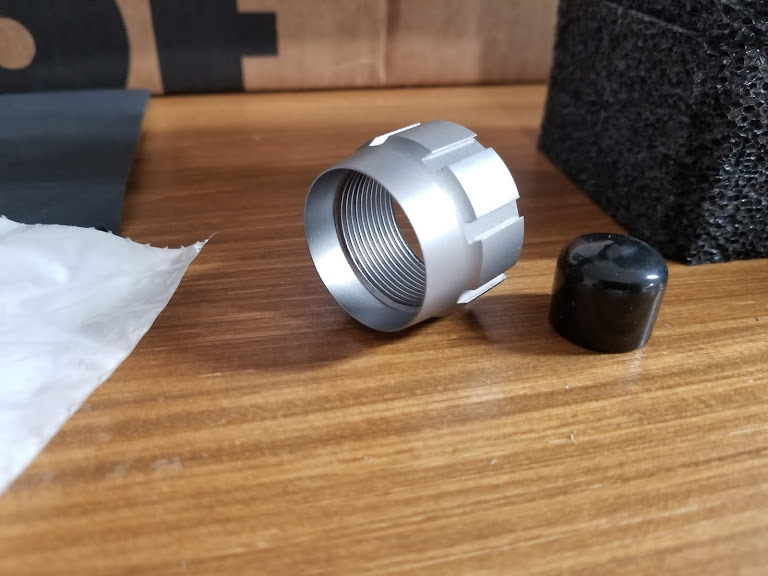 Below are images of just a few of the barrel nut (similar to the Savage Lock Nut Technologies) on all our builds regardless of action brand. 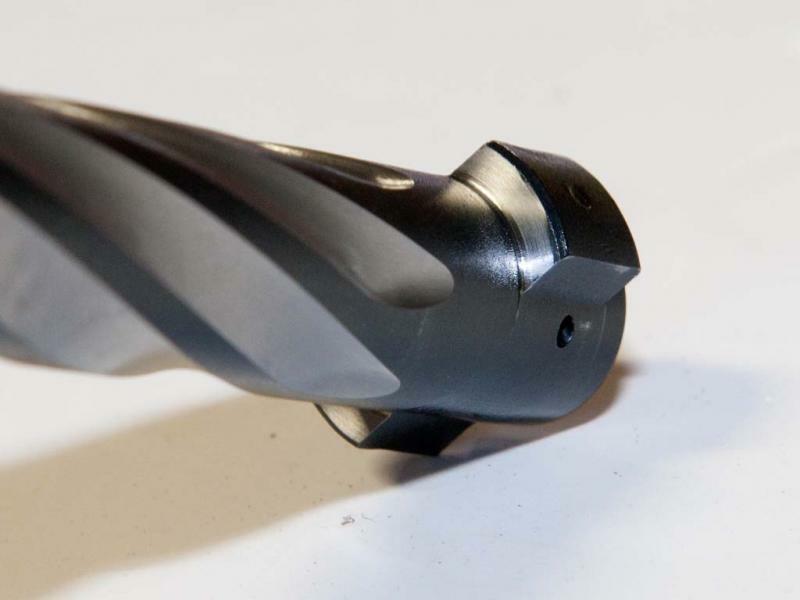 These solutions are far superior to a machined-in shoulder as they pre-load the barrel threads and they lock up within 35-40 ft-lbs to 75-77 lbs. of torque so they do not stress-load the receiver threads. This promotes accuracy as the receiver and barrel become one due to our precision laser-guided flat grinding technologies in our barrel nuts and recoil lugs, receiver and bolt face. 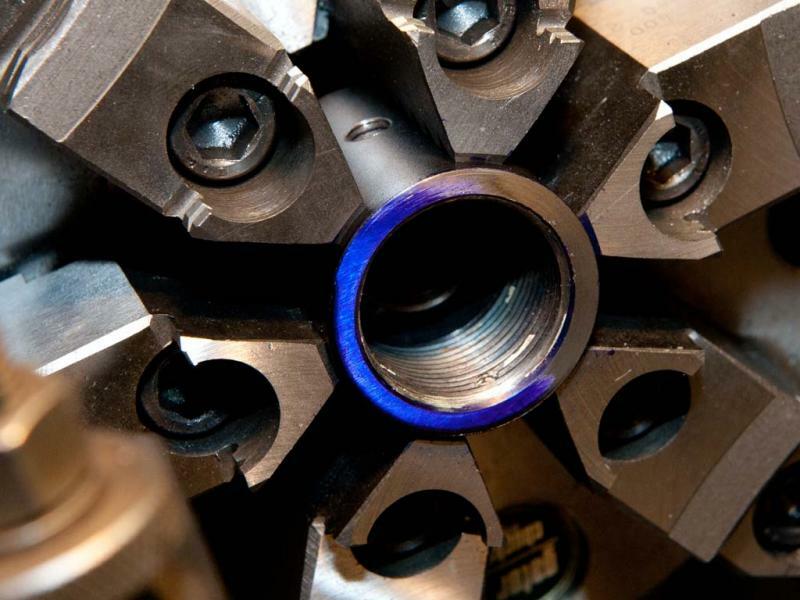 We start the services with a complete and thorough inspection of the barrel, throat and bore, and perform a firing and test group we call the "BENCHMARKING". This establishes the baseline of performance expectations and potential for improvement. If the benchmark results are encouraging and favorable we will address the bolt locking lugs, hand lap them to perfection, then address the barrel to stock bedding system, look at the trigger, scope base or bases, mounts and the barrel channel. 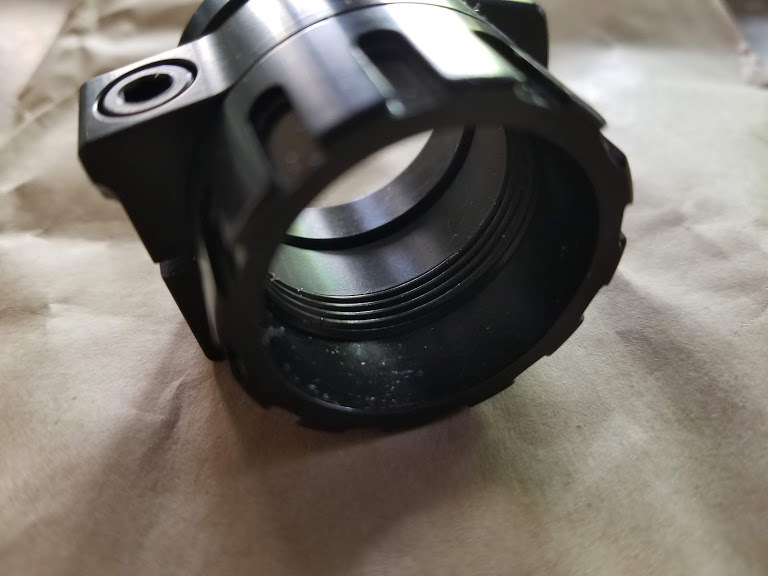 Extreme measures may be required to fix the barrel crown or re-chamber the barrel to fix the most common factory chambering problems we see due to poor quality tooling. Scope quality and scope mounting problems are very common but typically easy to repair. 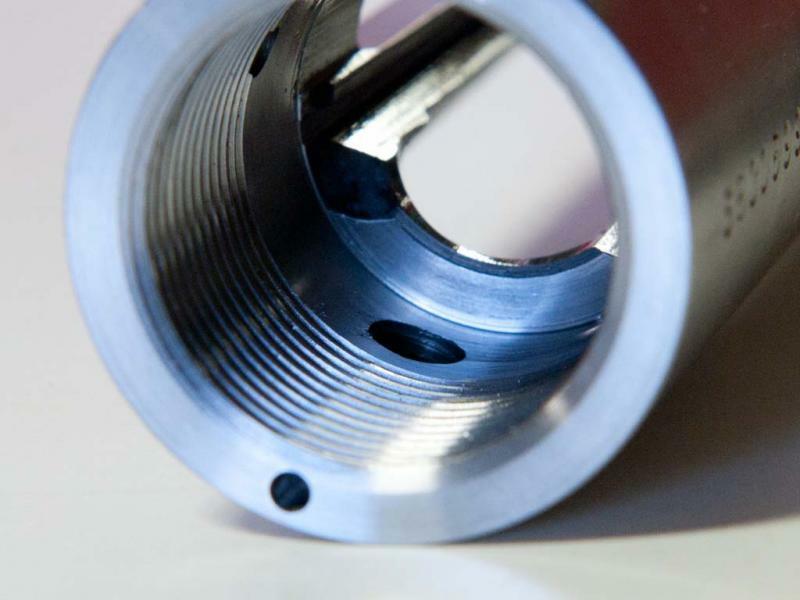 We have extreme and precise testing methodologies to validate base/bases and ring mounting relative to the type and brand of scope you have or choose. We test for several Point of Impact (POI) shifts including axial and off axis impacts and parallax and erector tube lens shift problems. Tracking and scope click adjustments and accuracy is also performed to our demanding standards of performance for excellence. If you need a better scope or different selection we will help you understand the "why"... before the expense. When building a $4,000 to $8,000+ custom you do not cut corners on low-cost, poor quality optics. We see optics as the "shooting system" that must be matched to the bullet weight and bullet type for any given distance or quarry you plan to hunt... we are experts in this area. 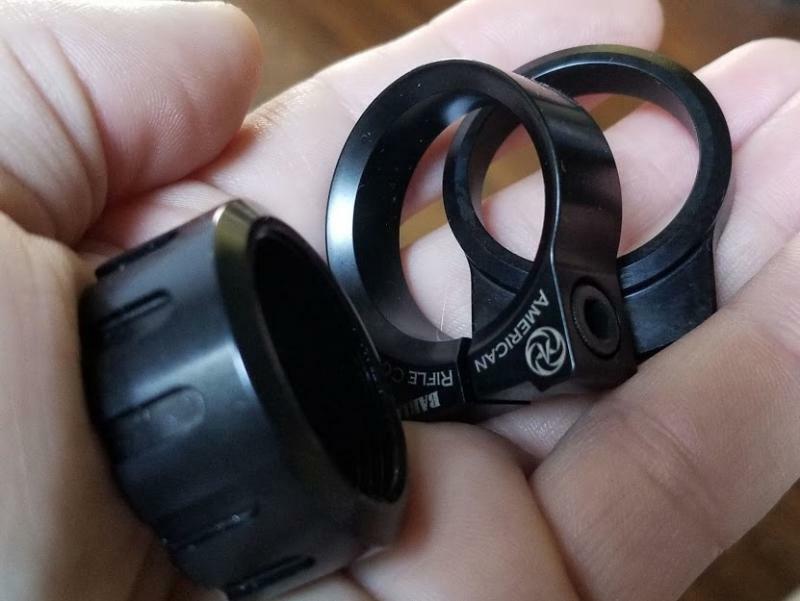 Our optics have custom tuned turrets that are matched not only to the handloads and your choice of projectiles but also matched to the "known" temperatures and altitudes you will be hunting... this is the true difference in extreme accuracy with our shooting systems vs. any other custom builder. * Tuned Turrets are custom designed by us and Kenton Industries. Cost begins at $225 per Turret, add 3 weeks lead time when ordering custom turrets. Cryogenics Metals Treatment and why it just works! Cryo treating reduces throat wear due to high-pressure and temperature of high-performance calibers and high corrosive wear properties in chemicals found in cleaning agents for gun cleaning and maintenance. 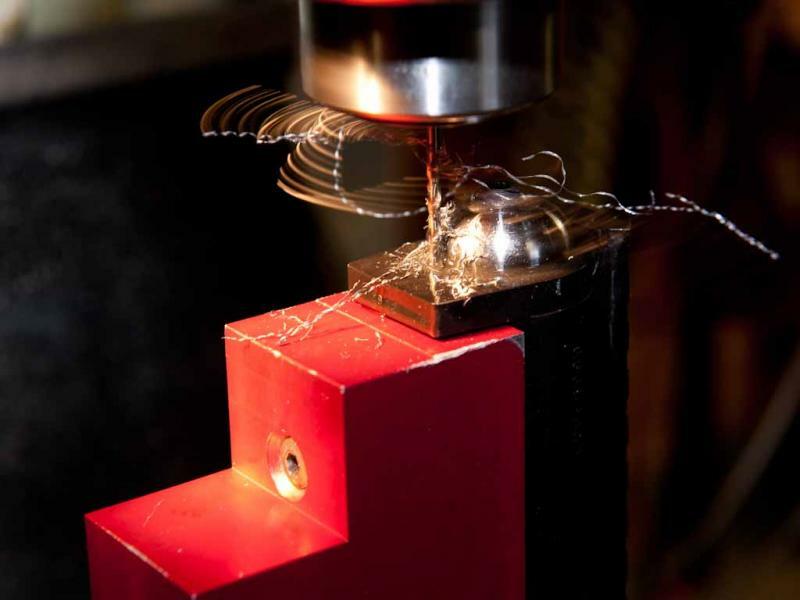 Stress relief in metals, reduces metal fatigue and distortions induced by design, forming, machining or environments. Increased wear resistance for easier cleaning, reduce friction, heat, and wear for an improved barrel life. Improve shot groups resulting in improved accuracy. Increased velocity of about 50-60+ feet per second are common and proven over a non-cryogenically treated barrel of the same lot. Read here why we are the "different custom gun builder", our barrels really are that much better and there is a reason why. NOTE: Every gun barrel produced today is bored and machined which causes stress in the microstructure of the metal. Guns are created from forgings and castings that cool at different rates, inducing residual stress. Your gun may shoot well, but it is not shooting to its potential without our proprietary double-slugging moly disulfide during cryo-treatment. 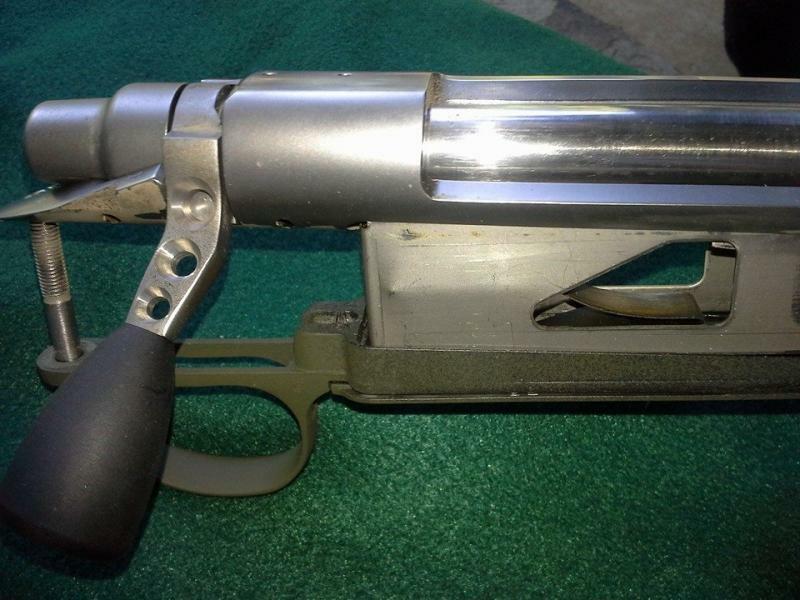 If you cryogenically treat your gun barrel, you will see several immediate results. When fired, a gun barrel heats up and distorts or warps every time you pull the trigger. This results in lost accuracy. 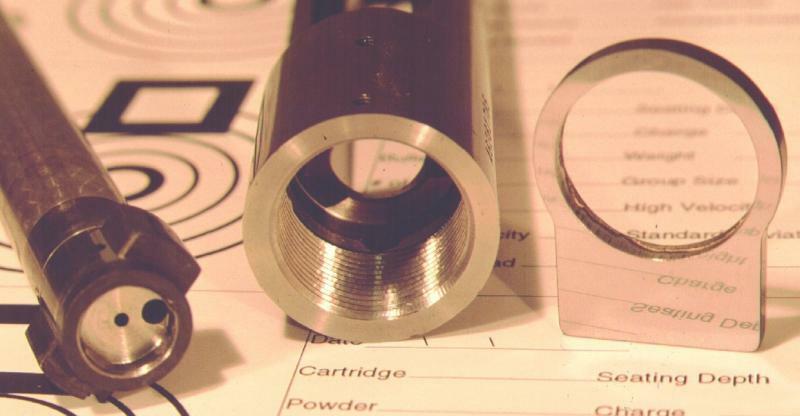 Once a gun barrel is cryogenically treated, you will see improved shot groupings. This improvement will last the life of the gun as cryogenic treatment is a one-time permanent process and at $90 + shipping the best value you can put into your firearms... many times we find that simple adjstments with optics, optic mounting systems and Cryogenics is all that your rifle may need to shoot well as a sub-MOA performer. If this is the case, that is all you are into it is at best $90 to $475 for our basic tune and accurize and you have rifle that will be as good as you can be. Several shotgun manufacturers, including Benelli have incorporated cryogenic treatment in their manufacturing processes. They found accuracy improved after cryogenic treatment by a wide margin over those barrels that did not have this process performed. We go far beyond just simple load development.. we also can do extensve bullet and exterior ballsitics for the shot you are gonig to attempt at + 1/2 Mile or +1 mile... when accuracy really counts you look no further than our ability to load the very best quality rounds made on this Planet -- calibers 6.5mm to 50 BMG and the Russian 14.5mm and our 510 BMG. Ask us about our exclusive Black ICE - Hex Boron Nitride coated Tungsten Core .308 and .50 BMG Caliber Bullets --- Extreme duty projectiles, non-tracable paper wrapped or sabot development available by calling direct: 731-607-6527 ask for CBJ, call or text 24/7. Bolt spiral flute and straightness validation. High speed tapping and threading. Example of our tactical bolt modifications on the REM 700 Blueprinted action. Non-fluted bolt with Badger tactical knob and skletonization work. Badger Knob, Skletonization and Black Oxide or Cerakoating is available on all our REM 700 Tactical Modifications. Every build is engineered as if it were our rifle or we do not do it at all. Many times, I fall in love with the builds so much I really do not wish to sell them! Every rifle we build is a rifle that will exceed your expecations in every way, not just my commitment but our collective promise and guarantee. Simply put, we "DO IT WITH PASSION OR WE DO NOT DO IT AT ALL"
Our blueprinted REM 700 Receivers exceed most other types of custom actions and exceed our 10 point performance and quality inspections for a customer supplied action or new action ... we demand the best or we do not build it. Receiver installed in accurizing fixture. 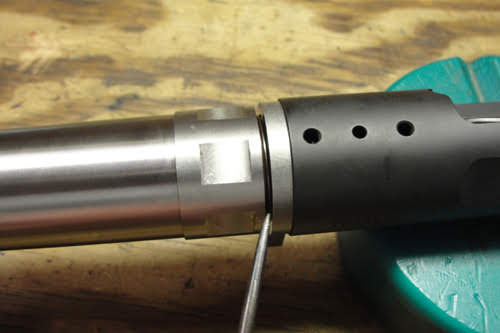 The mandrel will be dialed in to perfect "zero" with 0.0001" dial indicators placed just ahead of receiver face and also at extended tip of mandrel. 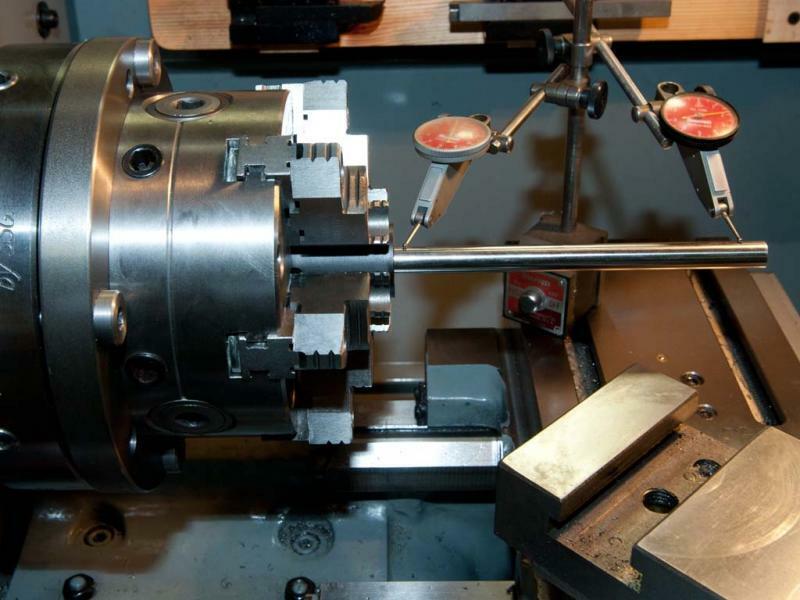 This ensures that the receiver is zeroed perfectly before any machining steps are performed. Receiver trued to barrel with laser precision and quality only 5th Generation Gunsmithing can provide by CBJ Precision Engineered Rifles, Inc.
﻿Blueprinting actions includes: Bolt Face Resurface, Bolt, barrel and action true as a holistic piece of machinery all working together and blending together as one... 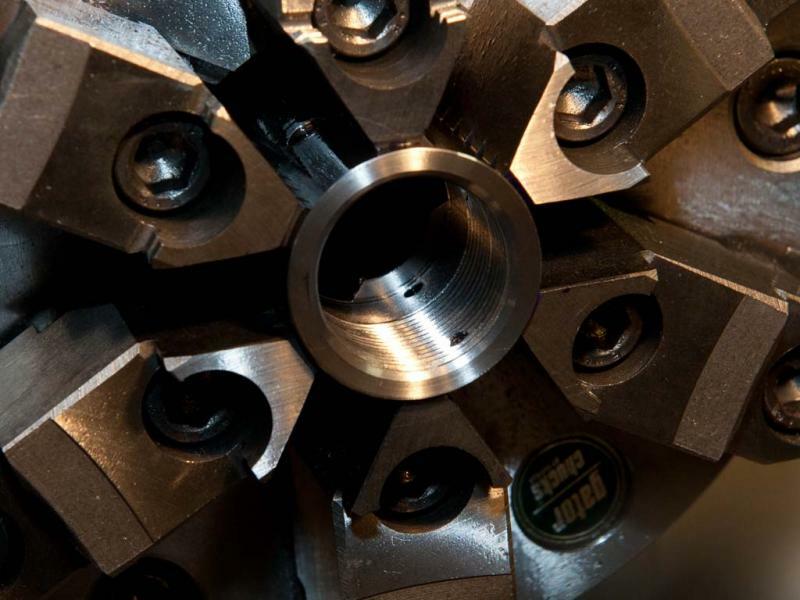 Precision is provided by years of experince and our engineering experience spans over 135 years combined with our team. Just some other tactical options for our M24 and Elite Carbon Hunter / Sniper weaponry... sky is the limit for any bolt work you desire on your existing rifle or a full out custom build.